Two weeks ago (on August 14th), Google announced that a massive rollout is expected to be launched by the end of 2017 and to affect all mobile app install campaigns. According to the announcement, all App Install campaigns will be shifted exclusively to Universal App Campaigns (UAC). This change is expected to start in mid-October 2017, and the full transition should be completed by mid-November 2017. In case you’ve been living in a cave for the past two years, you’ll probably want to start with some history and general background. We suggest you sit back and read the previous blog post we posted over four months ago on Universal App Campaigns. So… what exactly is going to happen? Basically, all current mobile app products, including mSearch, Display (Admob campaigns) and YouTube will be unified under one umbrella of Google’s Universal App Campaigns product. As of October 16th, all new app install campaigns will run on UAC, and as of November 15th, all existing Search, Display and YouTube app install campaigns will stop serving. According to Google internal data from July 2017, advertisers that optimize for in-app actions with UAC, on average, drive 140% more conversions per dollar than other Google app promotion products. If you’ve already tested Google UAC for your mobile app acquisition, you’ve probably noticed that this holds true, and those campaigns tend to generate much lower CPIs than other campaigns. Moreover, the channels you’re currently using to promote your app are not going to change, just the wrapping. Universal App Campaigns include all kinds of networks, including Google Search, Google Display Network and YouTube Video campaigns, and this means you’ll be able to continue and promote your app in all available inventories. How will the change affect my campaigns’ performance? As mentioned above, in terms of CPI, UAC is the best channel for maximizing your potential and bringing as many conversions as possible, at the lowest costs. In terms of ROI, using the in-app actions campaign optimization, you’ll be able to optimize your campaigns towards the most important action within them. By optimizing towards an in-app action instead of focusing just on install volume, your campaigns will start targeting more engaged users, who, in turn, are more likely to become users with a higher Lifetime Value and bring more profits to your business in the long run. How can I prepare my account for the change? First, if you haven’t done so already, you should switch your account to the new AdWords Next UI. Second, start testing UACs as soon as possible, in order to reach the deadline with the most optimized campaigns. Make sure you have set up all the relevant conversions for your business’ unique funnel, starting from installs towards lower funnel conversions (in-app actions), such as add-to-cart or purchases. Once all conversions are properly tracked on both Google AdWords UI and your 3rd party service, you may enable your campaigns with your best creatives from all types, and start optimizing. 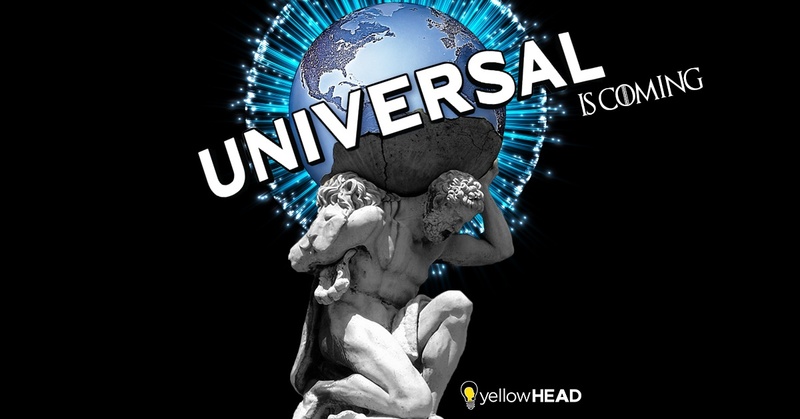 Here at yellowHEAD, we’ve already gained vast experience with Universal App Campaigns and learned the best practices for over two years now. UAC, despite being semi-automated campaigns and relatively easy to launch, will demand very high levels of attention. We’d be happy to assist and walk you through the full process, starting from creating the account, to building the right conversions according to your unique user journey, choosing the right objective to optimize towards, and optimizing the campaigns moving forward, with the new AdWords Next reporting. Building the right mix of Universal App Campaigns will help you drive more value from your mobile app install campaigns, target the most profitable users from all GEOs, and increase your return on ad spend. Just like in current AdWords campaigns, the optimization process is built out of matching the best creatives with the best audience, using the right marketing objective and bids. Feel free to reach out to us with any thought or concern, and let us help you achieve your app marketing goals with UAC!